Wes Anderson has cultivated a very unique style over the years, which makes him one of the more compelling directors we see today. His style may have divided people, but whether you love it or think it’s weird, there’s no denying that it’s his and that makes him one of the more interesting directors out there. And with the Grand Budapest Hotel coming out this year, we decided to take a deeper look into Wes Anderson and what makes him tick. While we won’t look at all of his film, we’ll take a look at four films that cover a good range of his career. 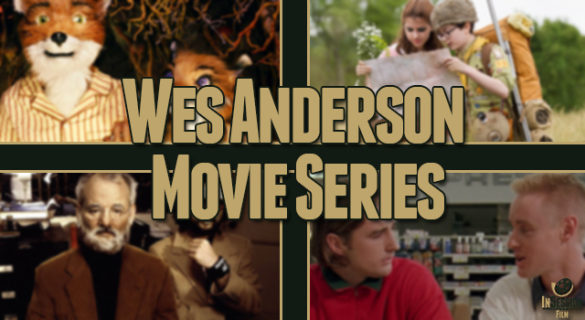 What do you think of Wes Anderson, are you a fan? Fantastic Mr. Fox is an incredible animated film with charm and heart, filled with compelling characters and a story that is just a ton of fun. Click here to read the full review. Listen to our review of Fantastic Mr. Fox below. Bottle Rocket was not only Wes Anderson’s first film, but it was also the debut for the Wilson brothers and it was a solid first effort on all accounts. Click here to read the full review. Listen to our review of Bottle Rocket below. The Royal Tenenbaums explores a family dynamic that is heartbreaking, yet funny at times and ultamately has a story of redemption. This is easily one of Anderson’s best. Click here to read the full review. Listen to our review of The Royal Tenenbaums below. Moonrise Kingdom may be the most Wes Anderson-y film we’ve ever seen from Anderson but the film features some solid performances and a story that is sure to entertain and draw you in. Click here to read the full review. Listen to our review of Moonrise Kingdom below. That’s it for our Wes Anderson Movie Series. We didn’t cover every film, obviously, but we wanted to cover a wide spectrum and we got to see how he’s transformed since Bottle Rocket, into Rushmore and all the way through The Grand Budapest Hotel. What do you think about Wes Anderson? Leave a comment below!